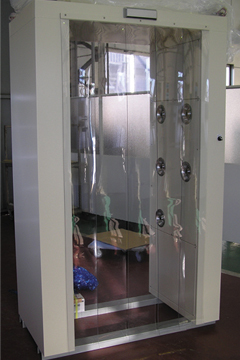 Proposal an air shower according to customers. Incorporate an ionizer at the air shower outlet to simultaneously remove static electricity and dust from clothes and objects with static electricity to improve dust removal efficiency. 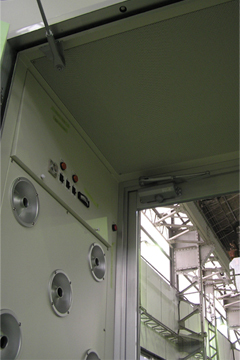 Combine a durable seat shutter and air shower when loading articles with a forklift or dolly. There is no worry of drawing to draw because of opening and closing up and down. 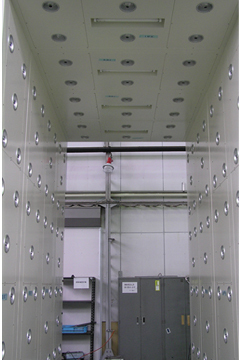 By installing the windows, it is posible to check if the air shower is being carried out with the correct usage method. Also possible to use thorough methods of using sound. 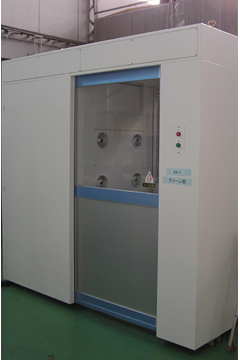 It will be installed mainly in large raw material outlets and equipment loading ports. 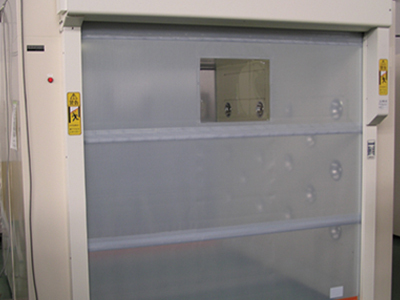 The double slide system can shorten the opening and closing time by enlarging the drawer due to the size of the frontage. 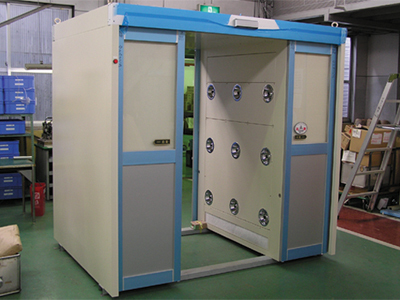 Using a large fan, clean air of 40 m / sec or more removes dust adhering to large-sized weight items. 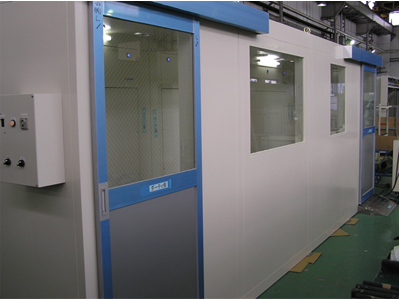 By eliminating the door and installing a simple vinyl curtain, it is possible to use it as a partition of factories etc. where there are many people to enter and leave. 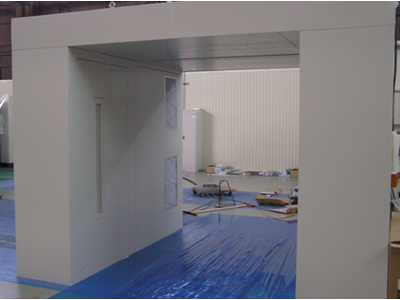 Adjust the dimensions of the air shower to fill the gap of the wall to save labor in the construction of the partition wall and the descending wall. 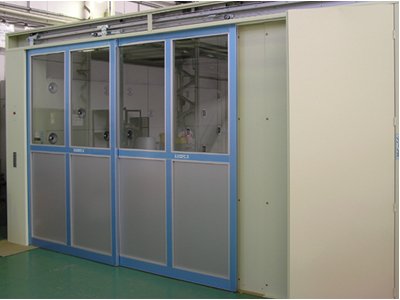 It is installed mainly in a large-scale automatic carrier and a forklift entry point in the clean room to remove dust from the machine. 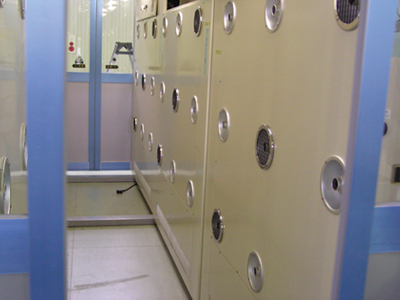 When blowing from the side panel, dust flowing on the upper part in the shower room is sent downflow air from the upper front surface to prevent dust accumulation.